It's obvious that a lot has changed in the marketing world in the last few years. We now have blogs, social media, mobile marketing and other modern day phenomena that didn't exist too long ago. And the blistering rate and scope of change doesn't appear to be slowing down but rather speeding up. There have been many spectacular new innovations in the marketing industry; but there has also been the development of some very false notions about what works and what doesn't in the battle to win new customers. Despite what many of today's marketers think, there are a plenty of valuable lessons we can learn from legendary marketing pioneers from the 20th century, and even before then. This article will profile two “old school” marketing legends, one of whom passed away in 1999 and did much of his greatest work over forty years ago. Another has had a spectacular career spanning sixty years. He has applied proven marketing principles that worked well long before the Internet age to help himself and his clients become wildly successful Internet marketers. If we are willing to learn, they both can teach us many valuable lessons that still matter today – lessons that can help launch our current marketing campaigns into the stratosphere, if we will diligently apply them. Ted has sold $7.9 billion worth of products for his and his clients' companies in his stellar 60 year career. 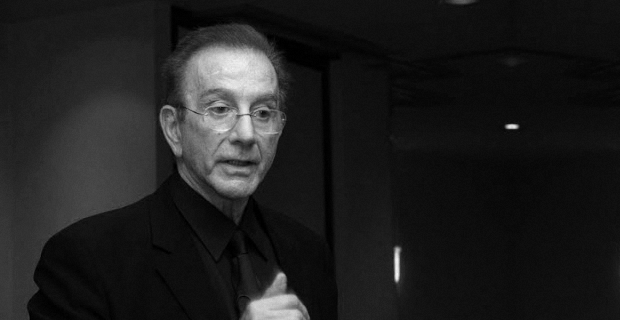 As one of the most successful direct response copywriters in history, he understands the power of words in marketing. One of the reasons Ted has been so successful as a copywriter and marketer is because he was an early advocate of marketing personas. This helped him tailor his written messages specifically to the person he wanted to reach. He's an advocate of doing what works in “real world” marketing and copywriting, not what's going to impress your college English professor. One of his biggest areas of success has been helping his clients sell books they've written. Many authors produce books with great content, and a lot of companies publish books well. But many of these authors and publishing companies market these same books poorly. One of the biggest reasons a lot of books are marketing flops is because they have a poorly chosen title. A book can have wonderful and very useful content, but if the title bores the reader and doesn't grab his attention long enough to get him to take a closer look, the book isn't likely to “fly off the shelves”. Ted had a client named William Fischer who had written a book he called “The Cancer Encyclopedia”, a title that almost guarantees the book won't be a marketing success. Ted, being such a skilled copywriter, suggested they rename it How To Fight Cancer And Win. It was first published in 1992 and is still in print today, twenty-one years later. The compelling, curiosity-generating, benefit-promising title helped make it a a commercial success. Ted views titles as headlines for books. 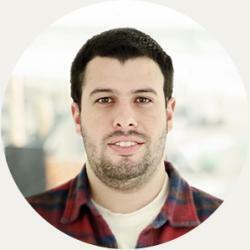 He also is adamant about the importance of headlines in sales copy and content. He says “...headlines are responsible for at least 73% of the success of any ad, be it online or offline”. He will write up to 250 sample headlines before choosing one for a marketing message for himself or his clients. This may seem like overkill, but remember this: Ted Nicholas has sold almost $8billion worth of products in his career! He has plenty of marketing and copywriting advice worth listening to! It's easy to think that the things that lead to marketing success today are all new. But so often this is not the case. 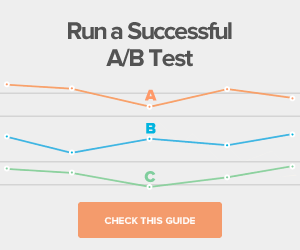 Consider A/B testing as an example. Ted was fanatical about testing long before any of the current digital marketing testing tools were available. In his illustrious career, he has, for himself and his clients, invested at least $100 million in testing! So how is Ted Nicholas relevant for today's marketer? Keep in mind that Ted is still working, even though he has been doing so for the last 60 years. He has had major success offline and online. A lot of the things he advocates and uses himself are important for success in today's digital marketing environment. Let's focus on one: headlines. The world we live in is bombarded with marketing and advertising messages. If you are going to get your messages read, you must first get them noticed. The headline or content title you choose is critical to this. You can have the world's greatest white paper or webinar, but if the title you select doesn't grab the reader by the eyeballs and make him curious to find out more, your wonderful piece of content will be ignored and will do nothing to help you further the sales process. This article gives you a brief “how to” on writing persuasive headlines and titles. This blog tends to be in favor of direct response marketing rather than "branding" or "image advertising". But there are some situations where traditional “Madison Avenue”-style advertising can be effective. In those cases, it can usually be made even more powerful when combined with exceptional copywriting. In his day, David Ogilvy was the master of this style of selling products. He is widely considered to be “The Father of Advertising”. He was an early proponent of using a natural-sounding, “conversational” tone in copywriting. He also instructed his employees to, when they were writing sales copy, be crystal clear about what they wanted the reader to do. He understood that a confused reader doesn't become a buyer. David Ogilvy spearheaded many successful advertising campaigns. He helped Dove become the top-selling brand of soap in the US. He also was behind the legendary campaign for The Man In The Hathaway Shirt. This campaign led to many "rip-offs", notably the Dos Equis "Most Interesting Man In The World" commercials. What can marketers learn from the legacy of David Ogilvy today – fourteen years after he passed away? They can be committed, like he was, to producing advertising and marketing that sells. It's great to get "likes" and "followers" and "buzz" and "engagement". But, the end result of your marketing efforts needs to be more sales! 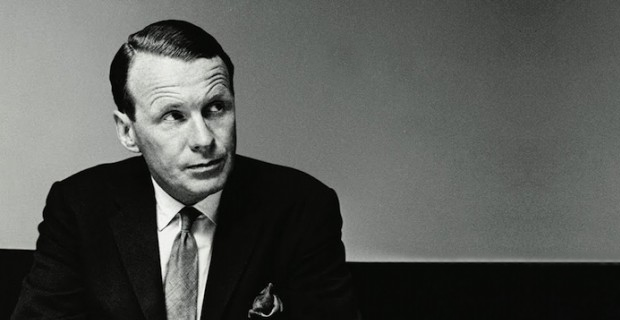 As marketers, there are a lot of valuable lessons we can learn from Ted Nicholas and David Ogilvy. They both used timeless principles that apply just as strongly now as they did before digital marketing came into existence. If we are wise, we won't discard these lessons; we'll be wary when we hear the marketing conventional wisdom that says "things have changed". We will embrace the valuable lessons they can teach us and use them to make our digital campaigns even stronger. We'll keep in mind that there are solid principles that direct response marketing and advertising pioneers like these two legends believed in that can help us sell more of our products regardless of the channel, whether online or offline. They can work just as well on a mobile marketing campaign for a small local pizza shop as they did for an encyclopedia publisher selling by mail in 1920. Ted Nicholas (for most of his career) and David Ogilvy did not have many of the tools that we have available to us. They didn't have mobile marketing, they didn't have email marketing, and they didn't have landing pages. An Online Marketing Tool You Will Love! 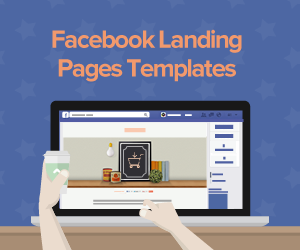 Landing pages are an integral part of the online marketing process. 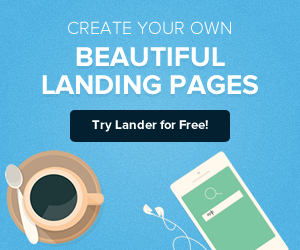 Landing pages from Lander are a state-of-the-art tool that David Ogilvy would have loved! He would love how they help marketers sell more effectively; they're engineered for higher conversion rates. Ted Nicholas, with his passion for testing his marketing approaches, would love Lander's advanced A/B testing capability. 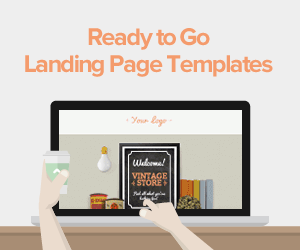 If you are looking for an easy to set up landing page template loaded with a ton of valuable features that you can try out for free, you'll love them too!